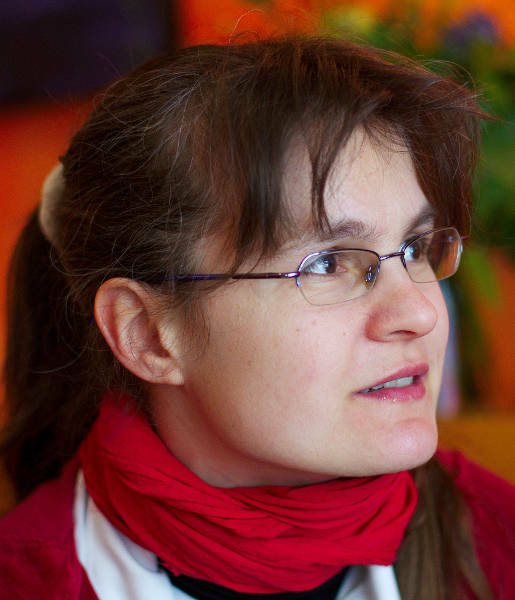 In her own words, Isabel Drost-Fromm is member of the Apache Software Foundation, co-founder of Apache Mahout and has mentored several incubating projects. Interested in all things search and text mining, with a decent machine learning background, she is working for Elasticsearch as software developer. True to the nature of people living in Berlin she loves having friends fly in for a brief visit. As a result she co-founded and is still one of the creative heads behind Berlin Buzzwords, a tech conference on all things search, scale and storage. Beyond and above all that Isabel is mummy of a little geekling since April 2014. Paul Boddie: Your involvement with Free Software development, personally and professionally, seems to revolve around projects associated with the Apache Software Foundation and there is a significant Java component. You remarked in your blog that with such a background in the world of Free Software “kingdoms”, this is like coming from a different dynasty to many other developers whose focus is on GNU/Linux or the Free Software desktop. Do you feel that all these kingdoms pay enough attention to each other? Where do you see opportunities for closer collaboration between them? Isabel Drost-Fromm: The post you mention actually is meant quite ironic and not to be taken too seriously – after all it’s my wedding announcement. If you really wanted to stretch it to learning something from the post it’s less about closer collaboration and more about being open minded and learning from each other: topics like monetisation, community management, leadership, to some degree even technical architecture and tooling are pretty much project independent. So instead of completely looking the other way just because one aspect of another project doesn’t fit one’s view of the world it might be beneficial to look a bit closer, there might very well be a lot of things to learn from. This aspect is why I like events like Froscon and FOSDEM which bring together a broad spectrum of the open source world. Also this is what many new projects at Apache benefit from: instead of making the same mistakes over and over people get to learn one working way of running an open source project from the start. Paul Boddie: One memorable article for me on your blog was a brief mention of how one media company had migrated their search infrastructure from a proprietary solution to Apache Solr. I remember being in related work situations both before and after this change in corporate mindset. Has Free Software now become the default choice for integrating search into products and services? Feature set – given that projects like Apache Lucene are developed in the open it’s a question of when someone needs a particular feature, implements it and contributes it. Most contributions are based on this kind of “scratch your own itch” approach to solving problems: instead of discussing with your sales rep which features you really need you go ahead and implement them. Contribute them back to save the cost of having to adjust them to future code modifications and get valuable feedback through the public code review cycle for free. Scale – both Apache Lucene and Elasticsearch show in various installations just how far you can take search with ordinary hardware. Transparency of decisions – in contrast to closed development for me one important aspect of OSS projects is to be able to follow the development process and be part of it if you choose to. Compare that to the price you pay (or paid) for typical proprietary solutions and it’s obvious why people go for the open solution. Paul Boddie: Are there any areas where Free Software projects could be more prominent, where such projects could be improved to deliver the benefits of Free Software to a wider audience? Isabel Drost-Fromm: IMHO today developers benefit the most from using OSS software. It’s important to make the public understand the benefit of an open development model in particular when it comes to vital or security sensitive technology. As a society we are far from having understood the implications of keeping software development secret. See FCC Rules Block use of Open Source. Paul Boddie: Is Free Software delivered via the Java technology stack more acceptable to certain kinds of adopters or is the audience now more concerned with other aspects of the solutions under consideration? Isabel Drost-Fromm: I don’t think it is – actually it depends on who you talk to and where their comfort zone with development is. If they are themselves Java developers and they are choosing a stack to develop against it probably will need to have a Java API. If they are familiar with another programming language they’ll have different preferences. 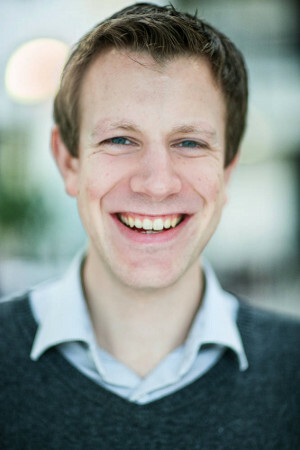 Paul Boddie: You are based in Berlin and have been active in organising Berlin Buzzwords: a conference focused on scalable data storage and search, focusing on Free Software solutions. As various economies try and show off their “digital economy” credentials, Berlin seems to attract people from all over Europe, presumably making such events particularly attractive and viable. What do you think that Berlin offers technology professionals and entrepreneurs that other cities perhaps do not? Given your travel experiences, could you see yourself tempted to live and work anywhere else? Isabel Drost-Fromm: Aside from being extremely cheap to live in compared to many other cities worldwide it has attracted enough tech-savvy people to be interesting to others as well. In addition compared to other places in Germany Berlin is one of the cities where you can feel like you are on vacation any day: There is no need to be fluent in German to get along. Essentially it’s a melting pot of many cultures – still far away from the cross-nation and cross-culture collaboration we see online but still closer to it than in most other real world places. Probably that’s also why it’s relatively easy to convince people from all over the world to move to Berlin or at least come here for a visit. Paul Boddie: You have previously shared your thoughts on topics like Agile and Scrum development practices, but I thought that one of your articles reporting a talk about failing software projects was illustrative with regard to what some of these practices are supposed to be about. Would you agree that movements like Scrum are a way of bringing some of the good practices from other disciplines to the software development profession, or do you feel that there is something more to it than that? Does it say something about the fields of software project management and software development that these movements have had such a visible impact amongst practitioners? Can individuals and small Free Software projects readily share in the benefits by adopting some of these techniques? Isabel Drost-Fromm: Actually I think most OSS projects are beyond what Scrum and Agile try to bring to the corporate world: Some problems I’ve seen in proprietary software projects often involved a lack of honesty and transparency – both against yourself and against the customer. As a result cover-up actions or death-march like phases followed. Most OSS projects I know keep all development decisions and planning out in the public. As a result everyone sees when things are getting delayed – and why. Priorities change, so does our knowledge about problems that come with certain tasks. To me the most important benefit of things like Agile and Scrum is to keep your course flexible, to be able to respond to change and to make problems in your development process visible. Paul Boddie: Looking at the activity level throughout the years covered by your blog, you have obviously been very committed to Free Software in a variety of different ways, although it looks like your blogging has had to yield to other priorities in the past year or so. What advice would you give for people who have to make time in their own busy lives to contribute to Free Software? Which ways to get involved are the best for those with only a limited amount of time to invest in contributing to something? Isabel Drost-Fromm: There’s just one piece of advise: Don’t contribute for the sake of contributing. Contribute to projects that fit with your personal needs. This is also why my contribution level recently has shifted away from my personal blog on to github: I’ve finally found a job at Elastic that lets me contribute during my day job full time which means that as a result I can dedicate more time to my family. Paul Boddie: You wrote a nice article about having the self-confidence to pursue the things that interest each one of us personally, asking only that society should support people in what those pursuits might be, rather than try and reinforce past expectations of what people should be spending their time doing. The topic of diversity in Free Software and in technology is never far from people’s minds these days, especially with Ada Lovelace Day happening today, although diversity has many dimensions, of course. You have provided some advice about encouraging the next generation of hackers, makers and tinkerers, but what do you think it will take for society to make the transition from “legacy” roles and expectations to one where people really can choose an interest or profession without that choice being seen as “special” (as you put it)? Isabel Drost-Fromm: It will take a lot of hard work and fundamental changes. Which type of work and which specific changes – that’s a topic for a whole series of books. Thanks to Isabel for responding to our questions and for her continuing involvement in the Fellowship of the FSFE. Nico Rikken is a Fellow of the FSFE from The Netherlands with a background in electrical engineering and interests in open hardware, fabrication, digital preservation, photography and education policy, amongst other things. Paul Boddie: It seems that we both read each other’s blogs and write about similar topics, particularly things related to open hardware, and it looks like we both follow some of the same projects. For others interested in open hardware and, more generally, hardware that supports Free Software, which projects would you suggest they keep an eye on? Which ones are perhaps the most interesting or exciting ones? Nico Rikken: There is a strong synergy between free hardware designs and free software, as free software allows modifications corresponding to changes in free hardware designs, and free hardware designs provide the desired transparency for free software to be modified to run. And above all, the freer the stack of hardware and software, the better your freedoms are respected, as the ‘respects your freedom’ certification by the FSF recognizes. The amount of free hardware designs available is actually immense, covering many different applications. For my personal interests I’ve seen energy monitors (OpenEnergyMonitor), attempts for solar power inverters (Open Source Solar Inverter, Open Source Ecology), 3D Printers (Aleph Objects and RepRap), a video camera (Apertus), VJ tools (M-Labs), and an OpenPGP token with true random number generator (NeuG). But these projects work on task-specific hardware and software, and can remain in operation unchanged for many years. The next frontier in free hardware development seems to me to be twofold, to develop free processor designs like lowRISC, and a modular free hardware design for generic computing like EOMA-68. In recent years there have been noteworthy projects like Novena, and the OLinuXino which provide a free hardware design solution but fail to provide free firmware or a modular approach to hardware. In that regard these projects, including the recent Librem laptop, are just wasted effort. These projects certainly provide much needed additional freedoms but lack an outlook towards the future for further improving performance and freedom. As microchips and processors in particular are only available for a limited duration before the next model comes into production, hardware designs and the corresponding firmware will have be updated continuously. Free processor designs will allow control on the pinout and feature set of the processors, avoiding unnecessary design revisions at the lowest level. A modular hardware structure will avoid having to modify and produce all components each iteration and allows higher production counts making production more viable. So taking this into account, I’ve only observed two projects which are important for the long-term development of free hardware designs of generic computing platforms: EOMA-68 and lowRISC. Of course I’m very interested in finding out about other efforts, as in the distributed community it is hard to know everything that is going on. Paul Boddie: Your background appears to be much more hardware-oriented than mine, meaning that your perspective on hardware is perhaps quite different from mine, too. You have written that engineering students need to be taught Free Software. Did you establish your interest in Free Software as a consequence of your electrical engineering education, or did it happen over time through a general exposure to technology and the benefits of Free Software? Nico Rikken: There has been quite some synergy between my formal education and my own hacker attitude. As long as I can remember I’ve been creative with technology, spanning hardware (wood, paper, fabric), electronics, and software. Probably because my dad is a power systems engineer and there was plenty of hardware and tools around in my youth. Part of the creative attitude is figuring out how to achieve a goal, figuring out how stuff works, and using readily available products and methods to speed up the process. When you are creative with digital technology, free software and free hardware designs are like oxygen. Quite notable is the fact that we had a presentation on the Creative Commons licenses in primary school by some expert, although I only recognized the importance of that moment many years later, after I had become aware of free software. My technical development accelerated when I started my high school education. It offered the theoretical and practical education including the labs and people. In the years in high school a friend and I worked alongside the technical assistants of the school daily to help other students with their physics experiments and do our own in the process. But on the software side I did get the informatics education of the workings of computers, the MS Office suite, SQL and basic web development, but was never taught about free software. I had a friend whose dad was a electronics engineer and they used GNU/Linux at home. He showed it to me briefly but I only considered the look of the desktop, even though he tried to communicate the difference in the underlying technology. All this time I was a MS Windows user, using any software as long as it satisfied my feature requirements and was free of cost. It wasn’t until I was at university for my electrical engineering education I became aware of GNU/Linux as relevant. It was used in the embedded systems department and was more visible, and some students were experimenting with using it. When I started investigating what Linux actually was, I was struck by the technical superiority and the overall better user interface. I started dual-booting GNU/Linux Mint and was pleased with it. Switching between GNU/Linux Mint and MS Windows daily did introduce some issues, so I was in need of a solution. A friend at the time, who was quite involved in the Dutch hacking community, was using Ubuntu as his daily driver. He convinced me to switch to Ubuntu and ditch MS Windows and was a helping hand in getting across all the tiny problems. From that moment on I’ve only used a Windows VM to do some magazine design work in Adobe InDesign as porting the template to Scribus wasn’t worth the effort. But more importantly that friend, being a hacker, briefly introduced me to the concept of free software and why it was relevant. It didn’t take long before I found Stallman speeches and became aware of the vastness of the free software community. That was the moment I realized how much I had been restricted in the past, and how my own creative work was taken away from me in proprietary data formats. I had falsely assumed that freeware was the equivalent of sharing hardware plans, because that followed from how little consideration I had given to accepting software licenses or considering alternatives because of the license. Having become aware of free software changed my world view, reinforcing itself with every issue that arose. I unwillingly accepted the fact that I needed proprietary software to finish my studies, and sticking to free software certainly brought inconveniences. I have two illustrative examples from this struggle. I failed an exam partly because I had missed out on about half the formulas during the course revision, as LibreOffice wasn’t able to parse the PowerPoint file correctly. Also I wasn’t allowed to use an alternative to Matlab like Scilab as a numerical computation suite as the examiners during the test weren’t instructed about other software tools. In retrospect I believe my education would have been better if I was introduced to the free software and the community more explicitly. Paul Boddie: Those of us with a software background sometimes look at electrical and hardware engineers and feel that we can perhaps get away with faults in our work that people making physical infrastructure cannot. At the same time, efforts to make software engineering a proper engineering discipline have been decades-long struggles, and now we see some of the consequences in terms of reliability, privacy and security. What do you think software and hardware practitioners can learn from each other? Has any progress in the software domain, or perhaps the broader adoption of technology in society, brought new lessons for those in the hardware domain? Nico Rikken: Software, especially the software running on a general purpose processor, can be changed more easily. This especially holds true regarding scale. I might as easily modify the hardware of my computer as I might switch my software, but hardware changes don’t really scale. Although my view is limited, I believe hardware design can learn from software by having a more rapid and distributed development cycle, relying on common building blocks (like libraries) as much as possible, and achieving automated tests based on specifications. From a development standpoint this requires diff-based hardware development with automated testing simulations. From a production standpoint this requires small batches to be produced cost-effectively for test runs, and generic testing connectivity on the boards itself. This stimulates the use of common components to avoid forced redesign or high component sourcing costs. Or to put the latter statement differently: I believe hardware development can learn from software development that a certain microchip can be good enough and it is worthwhile to have fewer models covering a similar feature set, more like the UNIX Philosophy. The 741 operational amplifier is a great example of such a default building block. I don’t see what software can learn from electronics development that much. I however do see points of improvement based on industrial design principles. This has got to do with the way in which a product is meant to target a large audience as a single design is produced numerous times. I personally view the principles for good design by Dieter Rams to represent the pinnacle of industrial design. It recognizes the way in which a product is meant to target a wide audience, and improve their lives. I consider it to be analogous to the UNIX Philosophy, but I especially believe that user interfaces should be developed with these principles in mind. Too often interfaces seem to be an afterthought, or the levels of abstraction aren’t equivalent throughout the program. I recognise there are projects highlighting the importance of usability like GNOME, elementary OS, and LibreOffice. However too often I encounter user interfaces I consider overly complex and badly structured. Paul Boddie: In your article about smart electrical grids you talk about fifty year timescales and planning for the longer term. And yet at the same time, with many aspects of our lives changing so fast, we now have the risk that our own devices and data might become ephemeral: that we might be throwing devices away and losing data to obsolescence. How do you think anyone can sensibly make the case for more sustainable evolution in technology when it might mean not being able to sell a more exciting product to people who just want newer and better things? And can we learn things from other industries about looking after our data and the ways in which we access it? Nico Rikken: When considering the power distribution infrastructure, it is highly stable with hardly any moving parts, and a minimal level of wear. The systems are generally over-dimensioned, but this initial investment proves beneficial in the long run. This is very different to a computer which is nearly irrelevant within five years as a result of an evolving need. Regarding the sustainability of our technology, I’d again look at industrial design. Mark Adams, the CEO of the company Vitsoe, based around designs by Dieter Rams, has given me great insights in this regard. He considers recycling a defeat, because that means a product wasn’t suitable for reuse. This originates from the original ethos of the company, requiring a mutual commitment between company and user to allow the company to sell fewer products to more people. Taking this coherent point of view, we have to make hardware modular and easy to repair or repurpose. I think we are heading in the wrong direction as a result of miniaturization, especially if we consider the downward trend in repairability scores by iFixit. I guess that the other way of going about this is the way 3D printing and IKEA are taking on the issue of sustainability. 3D desktop printing allows a filling factor to be defined, to reduce the amount of material used. Of course this reduces the physical strength, but this allows for material usage optimization. This is why 3D printed cars can be strong, light, and low on resources. And a plain 3D print can easily be recycled by shredding and melting, closing the material loop and only requiring tools and energy. IKEA offers modular furniture enabling reuse, but from experience I can say that it certainly shows if you’ve moved the furniture a couple of times. But the counterargument is that the production process is continuously being optimized to be low on resources. IKEA’s BESTÅ seems to be the latest and greatest on this issue, being highly modular and being made of hybrid materials of particleboard, fiberboard, honeycomb structured recycled paper filling, a foil wrap and tiny plastic shelf supports. It is optimized for recycling at the cost of reusablity, but I guess that better suits the way in which the majority buys and deals with furniture. Taking this argument of sustainability towards electronics, being able to freely replace software is a prerequisite for making electronics long-lasting. This has bugged the Fairphone, despite best intentions. We will have to protest anti-features as consumers, demanding formal legislation to protect our rights and the well-being of our society. Ideally we would go so far as to declare all patents and copyright regarding interfaces unlawful, to enable use and (re)implementation of such interfaces even if it wasn’t part of a formal standardization effort. Also the Phonebloks concept is great in that it allows products of separate lifetimes to be combined, and components to be exchanged when requirements change, rather than having to change the complete device. Considering the specific question around data, or information in general, I have come to find my digital notes to be far less fleeting than my paper-based notes, because I can keep them at hand all the time and because I can query them. Keeping your own archives available requires the use of common open standards, as I’ve come to find. Some of my earlier creative work is still locked in proprietary formats I have no way of opening. Some of my work in the Office suite I can only open with some loss of detail, although this gets better as projects like LibreOffice are improving the compatibility with proprietary formats. Thanks to libpwd, currently part of the Document Liberation Project, I was able to settle a dispute as secretary of a student climbing association, as the details of the agreement were only available in the WordPerfect format. In that regard I understand why printed documents are preferred for archival, and why most of the communication in the energy metering industry is still ASCII-based. I do recognise the shallowness of the store of the digital commons, especially regarding websites. As a result of the vastness of the digital media we all consume, I guess it is hard to store all data, other than in a shared resource like the Wayback Machine, which fortunately offers a service for organizations. Also I recently discovered the MHTML format for storing a website in a single open format file. I would think the digital dark age is somewhat exaggerated in the fact that most produced information was discarded in history anyway. However for the information which is actually subject to archival, retrieving it from obsolete media or proprietary formats is a challenge which increases in complexity over time. Paul Boddie: Another one of your hardware interests that appears to overlap with one of mine is that of photography, and you describe the industry standard of Micro Four Thirds for interchangeable lens cameras. Have you been able to take a closer look at Olympus’ Open Platform Camera initiative and the “OPC Hack & Make Project” or is it as unscrutinisable for you as it is for me? Nico Rikken: Coming from an advanced compact camera, it took me quite a while to select the system camera I desired, because I was very aware I was going to buy into a lock-in. The amount of technical differences related to the various lens mounts was quite interesting and I came to the conclusion I wanted to have as many technical solutions available as possible when using manual lenses. In a way the best option for compatibility would have been the way the Ricoh GXR did it, by making the interface between body and lens purely electronic. In this way the optical requirements are separated and all components can be updated in case the interfacing standard changes. Ultimately I believe the optical circuit will be kept to a minimum, because the digital information can more easily be manipulated, even after the fact. I realized this regarding the focusing, as now contrast-based focusing can be faster than phase-based focusing using, with the benefit of various focus-assisting technologies, which can then both be displayed on the rear display or via the viewfinder. A DSLR cannot offer the focus-assisting technologies via the viewfinder and the speed of the contrast-based focusing as required in live-view mode is significantly slower if only due to the different lens drive. More on the innovative side the Lytro is more than about correcting focusing afterwards, it opens up new ways for creative expression by changing perspective in a frozen shot. It is another innovative way of doing cinematography, like putting cameras on cranes, on drones, or the famous ‘bullet time’. So regarding the Open Platform Camera initiative, based around the Olympus Air I believe it is a step forward regarding digital interoperability. Having an API available rather than image files opens up new capabilities, but I would think a physical connector with the option of a power adapter would have been better as it allows more direct control and can prevent having to recharge the batteries all the time. In that regard I believe enabling the API on current cameras would be more beneficial because I don’t believe the form-factor is actually holding people back from adopting it in their projects, considering the creations from the OPC Hack & Make Project Party in March. I assume the main drivers for the open approach are media attention, image building, testing potential niche markets, and probably selling more lenses. According to Wikipedia 11 companies have formally committed to Micro Four Thirds (MFT). Considering the available lenses even more companies offer products for the system. In that regard it seems to be the most universal lens mount standard available. If I understand correctly Olympus is one of the mayor patent holders regarding digital photography, so I’m curious in what regard they exercise their patents by licensing. Regarding MFT as a standard, in terms of standardization it is said to be an extension of the original Four Thirds specification, which is said to be highly mobile, 100% digital, and an open standard, but apparently they have a different standard of openness as the same page mentions: “Details of the Four Thirds System standard are available to camera equipment manufacturers and industry organizations on an NDA basis. Full specifications cannot be provided to individuals or other educational/research entities.” Whether or not this includes license agreements regarding the standard we don’t know, but either way you’d have to start or join an imaging company to find out. Maybe the AXIOM Gamma camera will provide the needed information in the MFT module, although I doubt that will happen as a result of the NDA. Considering the number of companies working with MFT, I guess the standard is effectively open, other than for individuals or educational or research entities. Luckily work has been done to reverse engineer the electronic protocol by Lasse Beyer and Marcus Wolschon. Paul Boddie: Do you think established manufacturers can be encouraged to produce truly open products and initiatives or do you think they are genuinely prevented from doing so by legitimate concerns about current or potential competitors and entities like patent trolls? I hardly think so. They have a vested interest in keeping a strong grip on the market for targeting consumers, and losing the NDA means losing that grip. The Open Platform Camera Initiative by Olympus seems to be a step in the right direction, now lets hope they see the benefit of truly opening up the standard. That would benefit niche applications like astrophotography, book scanning, photographing old negatives, lomography or IR photography. All these types of photography have specific requirements for filters, sensors, focusing or software and opening up the specification would lower the barrier for adopting these features. Paul Boddie: Could you imagine Micro Four Thirds becoming a genuine open standard? Creating a motive for opening up the standard can be done using both a carrot and a stick. The carrot approach would be to complete the reverse engineering of the protocol and show what applications could benefit from an open standard. The stick approach would be to introduce a open pseudo-standard, regarding mechanical and electronic connectivity. Ideally such a standard would be between a mirrorless interchangeable-lens camera (MILC) and larger lenses, to allow multiple lenses to be connected with multiple bodies. As adapters start popping up for such a standard, the reputation of universal lens mount of MFT is threatened. I haven’t looked into the serial protocols of the various lens standards, so I’m not aware how easy it would be to pull off a universal lens mount. To me a sensor-based stabilized telescope would be a great test case for reverse engineering the standard and enhancing the camera body for the benefit of the user. Paul Boddie: You have written about privacy and education a few times, occasionally combining the two topics. I was interested to see that you covered the Microsoft Outlook app credentials-leakage fiasco that also affected users at my former (university) workplace, and you also mentioned how people are being compelled to either use proprietary software and services or be excluded from activities as important as their own education. How do you see individuals being able to maintain their own privacy and choice in such adverse circumstances? As organisations seek to push their users into “the cloud” (sometimes in contravention of applicable laws), what strategies can you envisage for Free Software to pursue to counter such threats? Nico Rikken: I assume these solutions are introduced with the best intentions, but they bring negative side-effects regarding user freedom. Accepting licences of other organizations than the educational organization should be considered unacceptable, even implicitly via a school policy. Likewise third parties having access to personal information including communication should be unacceptable. Luckily some universities are deploying their own solutions, for example universities in Nordhein-Westfalen and the University of Saskatchewan deploy solutions based on ownCloud, which is one of the ways external dependencies can be avoided. Schools should offer suitable tools with open interfacing standards for collaboration, preventing teams from adopting non-free solutions under social pressure. Using open standards and defaulting to free software is obvious. To avoid unnecessary usage information being generated, all information resources should be available for download, ideally exposing them via an API or web standard like RSS for inclusion in common client applications. But this is wishful thinking, as I’m aware that current policies are weak, even those policies aren’t adhered to. Simply put, if you want to take a formal education you have to accept your freedoms are violated. The impact can be minimized by continuously protesting the use of non-free software service as a software substitute (SaaSS). I’ve come to find most of the times teachers don’t care as much about the software used, they just know the common proprietary solution. Having some friends to pass along information or convert documents can further reduce observability. Things get particularly difficult if no alternatives exist, or if non-free formats or templates are required. An alternative way of getting educated is by taking part in Massive Open Online Courses (MOOCs). It seems to be the most promising way out, as content is offered according to open standards. The content availability and reusability is limited depending on the licenses, but the same holds for most educational institutions. Then there is the amount of monitoring involved, but most MOOCs allow pseudonymity unless you desire an official certificate. Assuming you use a VPN service or Tor even, this offers an unprecedented level of anonymity. Just compare this to the non-free software dominated IT systems of educational organizations, combined with the vast number of registered personal details and campus cameras. Whether or not MOOCs can replace a formal education in the coming years I don’t know, neither do I know how corporate organizations will judge MOOC-taught students. Many thanks to Nico for answering our questions and for his continuing involvement in the Fellowship of the FSFE. Neil McGovern is a Fellow of the FSFE from the United Kingdom and was recently elected as Debian Project Leader, starting his term of office in April. He has previously participated in local government and has served on the board of the Open Rights Group: a digital rights organisation operating in the UK. Paul Boddie: Congratulations on your recent election as Debian Project Leader (DPL)! Looking at your election platform, you have been engaged in a number of different activities for quite some time. How do you manage to have time for everything you want to do? Is your employer supportive of your new role or does your free time bear most of the burden? Neil McGovern: I’d say it’s a mix of both. My employer, Collabora is hugely supportive of the role, Debian and Free Software in general. However, being DPL isn’t just a 9 to 5 job – the timezones that all our contributors work in mean that there’s always work to be done. Paul Boddie: You appear to be fortunate enough to work for an employer that promotes Free Software solutions. For many people interested in Free Software who have to squeeze that interest in around their job, that sounds like the perfect opportunity to combine your own interests with your professional objectives. But what started you off in the direction of Free Software and your current position? And, once on the path, did you deliberately seek out Free Software opportunities, or was it just a happy accident that you ended up where you are today? Neil McGovern: My first exposure to free software was from a friend at secondary school who started selling CDs of Linux distributions. He initially introduced me to the concept. Before that, I’d mostly used Mac OS, in the olden days before OS X came along. When I went to university to study computer science, I joined University of Sheffield IT Committee. At the time, there wasn’t any facilities offered for students to host web pages. This was originally running Mandrake. In my second year, I moved in with a housemate, who was a Debian Developer, and I started packaging a client for LiveJournal called Drivel. Since then, I guess it’s less that I’ve less sought out opportunities, but it’s more that the opportunities out there have been very much geared towards people who understand Free Software well, and can help with them. My current job however is very much more than just using and developing Free Software – it’s about enabling companies out there to use Free Software successfully, both for the immediate gain they can get, but also making sure that they understand the benefits of contributing back. A pretty ideal job for a Free Software enthusiast! Paul Boddie: Your DPL platform states that you intend to “support and enable” the volunteers that get the work of Debian done. One of the challenges of volunteer-run organisations is that of keeping people happy and productive, knowing that they can walk away at any time. What lessons from your history of involvement with Debian and in other areas can you share with us about keeping volunteers happy, productive and, crucially, on board? Neil McGovern: I think the key issue is about communications. You need to make sure that you actively listen to people, and understand their view point. Given the globally distributed nature of Debian, it’s easy for people to have disagreements – remembering that another human is at the other end of an email address isn’t the easiest thing in the world. Face to face meetings and conferences are essential for countering this – every year when I go to DebConf, I come back reinvigorated to continue working on Debian. Paul Boddie: Especially in recent years, there has been a lot of discussion about Free Software solutions and platforms losing out to proprietary rivals, with special attention given to things like smartphones, “app” marketplaces, and so on. That some of these proprietary offerings build on Free Software makes the situation perhaps even more unpalatable. How do you see Free Software in general, and Debian in particular, having more of a visible role to play in delivering these solutions and services all the way to the end-user and perhaps getting more of the credit? Neil McGovern: The key issue is trust – when Debian distributes a package, you know that it’s met various quality and stability standards. There’s a risk in moving to an entire container based model that people will simply download random applications from the internet. If a security problem is found in a shared library in Debian, we can fix it once. If that library is embedded in hundreds of different ‘apps’, then they’ll all need fixing independently. This would certainly be a challenge to overcome. Mind you, in our latest release we had over 45,000 binary packages, so I don’t think that there’s a lack of choice of software in Debian! Paul Boddie: I see you were involved in local government for a while. Would you say that interacting with the Free Software and Debian communities led you to explore a broader political role, or did your political beliefs lead you instead to Debian and Free Software? Neil McGovern: Well, secretly, the real reason I got involved in politics was that I had had quite a few beers in a local pub with some friends for a 30th birthday, and one of them asked if I wanted to get involved. The next day I woke up with a hangover, and a knocking on the door with said friend holding a bundle of leaflets for me to deliver. I don’t think it’s really that one led to another, but more that it stems from my desire to try and help people; be it through representing constituents, or helping create software that everyone can use for free. Paul Boddie: One of the articles on your blog deals with an awkward situation in local government where you felt you had to support the renewal of proprietary software licences, specifically Microsoft Office. Given your interests in Free Software and open standards, this must have been a bittersweet moment, knowing that the local bureaucracy had fallen into the trap of macros and customisations that make migration to open standards and interoperable products very challenging. Was this a case of knowing which battles are the ones that are worth fighting? And how do you see organisations escaping from these vicious cycles of vendor lock-in? Do you perceive an appetite in public institutions for embracing interoperability and choice or do people just accept the “treadmill” of upgrades as inevitable, perhaps as not even perceiving it as a problem at all? Neil McGovern: It wasn’t the most pleasant decision I’ve had to make, but it was a case of weighing up what was available and what wasn’t. Since then, ODF-supporting programs have improved greatly, and there’s even commercial support for these. (Disclosure: my company is one of these now.) Additionally, the UK Government announced that it would use ODF as the standard for distributing documents, which is a big win, so I think there is a change that’s happening – Free Software is something that is now being recognised as a real force compared to 5 years ago. Paul Boddie: A lot of attention has been focused on the next generation of software developers, particularly in the UK education sector, with initiatives like the Raspberry Pi and BBC “Micro Bit” as well as a mainstream awareness of “apps” and “app” development. Do you think there might be a risk of people becoming tempted by arenas of activity where the lessons of Free Software are not being taught or learned, where the vendor’s products are the focus, and where people no longer experience or understand a sustainable and independent community like Debian? Is computing at risk of being dragged back to an updated version of the classic 1980s consumer-producer relationship? Or worse: a rehashed version of something like the “walled garden” networked computing visions of Apple and Microsoft from the early 1990s where the vendor even sets the terms of participation and interaction? Paul Boddie: Finally, noticing your connections with Cambridge, and having an appreciation myself for the role of the Cambridge area and its university in founding technology companies directly or indirectly, I cannot help but ask about the local attitudes to things like Free Software, open standards, and notions of openness in general. Once upon a time, there seemed to be a degree of remorse that the rather proprietary microcomputing-era companies had failed to dominate in the marketplace, and this led to companies like ARM that have done quite well licensing their technologies, albeit in a restrictive way. Do you sense that the Cambridge technology scene has been (or become) more accepting of notions of openness and freedoms around software and technology? Or are there still prominent local opinions about the need to make money by routing around such freedoms? How do you view your involvement in Debian and the Open Rights Group as a way of bringing about changes in attitudes and in wider society towards such issues? Neil McGovern: Nothing really opened my eyes to the importance of Debian until I turned up to my running group, and got approximately 6 people offer to buy me a pint as they heard I’d been elected DPL. I’m not sure that would have happened in many other cities. I do think that it is a reflection on the main-streaming of Free Software within large companies. We’re now seeing that not only is Free Software being accepted, but experience with it is seen as an advantage. This is perhaps best highlighted by Microsoft throwing a birthday party for the release of Debian 8, a sight I never thought I’d see. 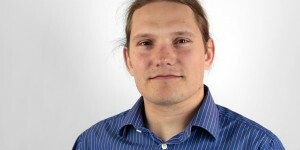 Paul Boddie is a Free Software developer currently residing in Norway, cultivating interests in open hardware, photography and retrocomputing. He joined the FSFE in 2008 and occasionally publishes his own opinions on his blog.